A discouraging new study concludes that most antidepressants are ineffective for children and adolescents, and may even be harmful in some cases. But the researchers caution that the low quantity and quality of clinical trials are obscuring the true effects of these drugs. For the new Lancet study, researchers analyzed 34 trials involving over 5,000 participants aged nine to 18. 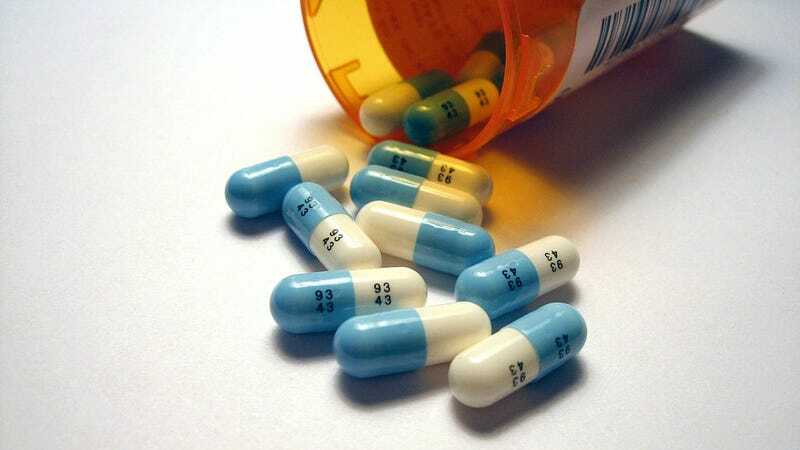 Out of the 14 antidepressant drugs scrutinized, only fluoxetine (aka Prozac) was more effective at relieving the symptoms of depression than a placebo. Shockingly, venlafaxine (branded as Effexor and Lanvexin) was actually associated with an increased risk of suicidal thoughts and attempts when compared to a placebo and several other antidepressants. Patients found that imipramine, venlafaxine, and duloxetine had such negative effects that they were likely to stop taking the drugs. “The balance of risks and benefits of antidepressants for the treatment of major depression does not seem to offer a clear advantage in children and teenagers, with probably only the exception of fluoxetine,” noted study co-author Peng Xie of Chongqing Medical University in China. In light of these findings, the researchers recommend that children and teens who are taking antidepressants be monitored closely, regardless of which drugs they are taking, and especially at the beginning of treatment. The researchers stopped short of suggesting that children be taken off their meds; previous research has shown that withholding antidepressants from children and teens can be dangerous. But the researchers caution that the true effectiveness and risks of these drugs remain unclear due to the disturbingly small number of clinical trials, many of which are flawed. Selective reporting of findings in published trials and clinical study reports were also blamed. Indeed, there appears to be some selectivity at play here, and no small amount of reporting bias. Of the 34 trials analyzed, 65 percent were funded by pharmaceutical companies. The researchers ranked nearly 30 percent of the trials as being at high risk of bias, 59 percent as moderate, and just 12 percent as low. “Without access to individual-level data it is difficult to get accurate effect estimates and we can’t be completely confident about the accuracy of the information contained in published and unpublished trials,” said lead author Dr Andrea Cipriani, who works out of the University of Oxford. “It has been widely argued that there needs to be a transformation of existing scientific culture to one where responsible data sharing should be the norm.” Cipriani said that scientists should be given access to raw clinical trial data in order to validate and replicate existing findings. Publication bias in pharmaceutical research is a known problem. Back in 2004, biotech giant GlaxoSmithKline not only failed to show treatment effectiveness for off-label use of the anti-anxiety drug Paxil among children and teens, it also failed to note a possible increased risk of suicidal tendencies in this age group. But Big Pharma doesn’t deserve all of the blame—the current publishing model is likewise culpable. It’s easier to publish positive results than inconclusive results, leading to yet another form of publication bias. As Cipriani and her colleagues rightly point out, something has to change.